B & B. 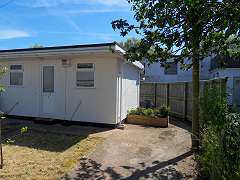 Two rooms, both with en-suite. 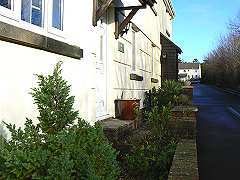 Spacious twin room on first floor with nice views, or ground floor double. 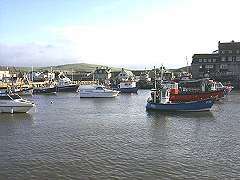 Between the historic market town of Bridport and West Bay Harbour with its beaches and Coastal Path. Garden. Parking. Packed lunches. Open all year. Probably the best value for money in the area. 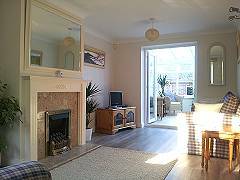 Both apartments (which sleep 4 or 6 people) are on the 2nd floor, with sea or harbour views. 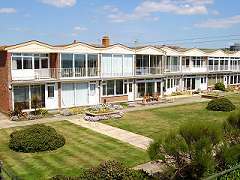 Each has a balcony, well equipped kitchen, comfortable lounge, heating, television, allocated parking space, lift and open all year. Short stroll to shops, buses, restaurants, cafés and pubs. 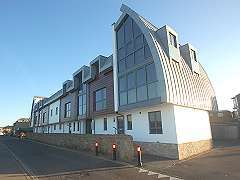 Two first floor apartments, one with 2 bedrooms to sleep 4, the other has 1 bedroom to sleep 2, close to the seafront and harbour. 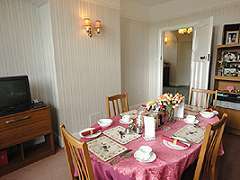 Both apartments have fully equipped kitchens, bathroom / shower room, sitting rooms, south facing balconies and communal gardens. Allocated parking is also provided. A Georgian cottage sympathetically restored to offer cosy accommodation for 4 people. 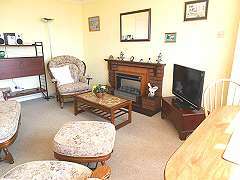 Two bedrooms, bathroom with shower, kitchen, dining & living area with TV/DVD player & wood burning stove. Front and rear gardens. Heating, linen & towels included. 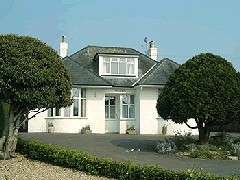 Close to the harbour, beaches & coastal paths. 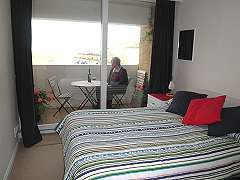 Superbly equipped comfortable first floor apartment. 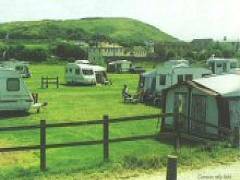 Sleeps four, with a kingsize double bedroom with en-suite shower room and a twin bedroom. Family bathroom with bath and integral shower. Fully equipped kitchen including freezer, dishwasher and washer/dryer. Wi-fi included. Private parking for one car. 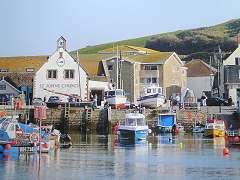 Only a short walk to the harbour and beach. 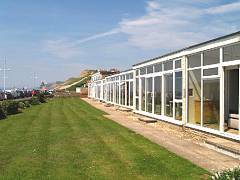 Four seafront chalets with breathtaking sea views, each sleeping up to 6 people. 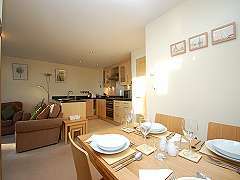 Spacious living, dining and kitchen area furnished to a very high standard. Two bedrooms with a double, 2 singles and a double sofa bed. Family bathroom including power shower. Parking available at rear. Dogs permitted in one chalet. 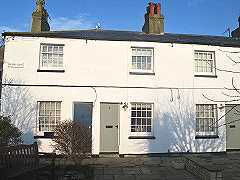 Lovely 3 bedroom cottage style house close to harbour and heritage coast. 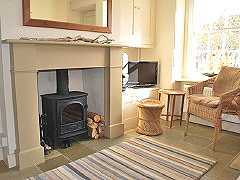 Sleeps 5 in 2 double and a single bedroom. 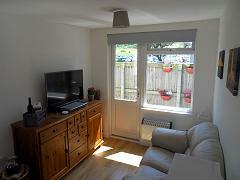 Conservatory, cloakroom, fully fitted kitchen with dishwasher and private garden with patio, table and seating. Ample parking. Free Wi-Fi. No pets, no smoking. Short breaks available. A one bedroom chalet-style bungalow only a few minutes walk from the Jurassic Coast, West Bay harbour, beaches and the surrounding pubs, cafés and restaurants. 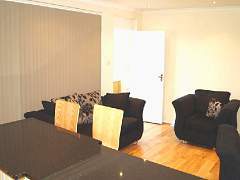 Accommodation comprises one double bedroom, a bathroom with bath and shower and an open plan living/kitchen area. Off road parking for one car. Wi-Fi. No pets and no smoking.